As you are firming up plans for your summer circuit, or just a regatta here or there, don’t forget that the Corinthian Classic Yacht Regatta – presented by Panerai – fits beautifully in between “The Reach” and the “Grey Lady”. The CCYR two-day event, August 13 & 14, is the weekend after Eggemoggin Reach and the weekend before Race Nantucket/Opera House and 1st on the NAPCYC circuit. The CCYR Marblehead is the perfect “in between” stop. 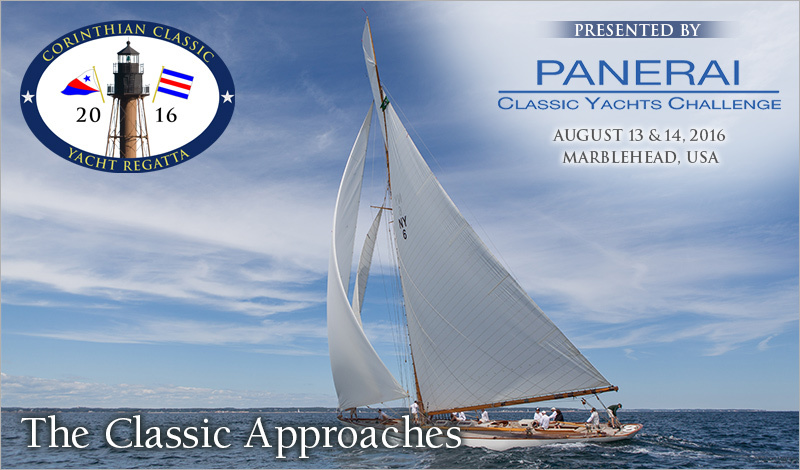 The CCYR has been in existence for decades and has been partnered with Panerai for years. If you’re looking to experience a little more “magic” and put more action into this summer, we invite you to join us at the Corinthian Classic Yacht Regatta. The season is short. Plan on making the CCYR from wherever you are.